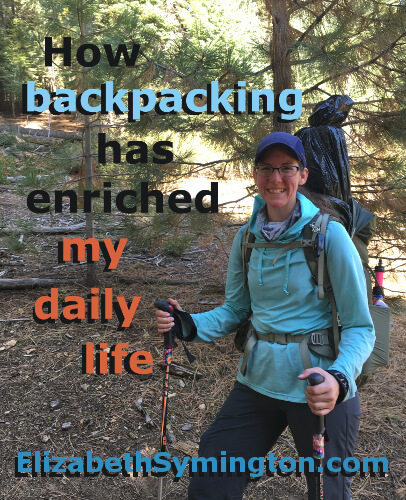 This is Day 24 of the 31 day series on “How backpacking has enriched my daily life.” I expected lightweight backpacking to be a hobby. Instead it has transformed me for the better. I first started using the All Trails app when I was planning a backpacking trip in the Sierras. 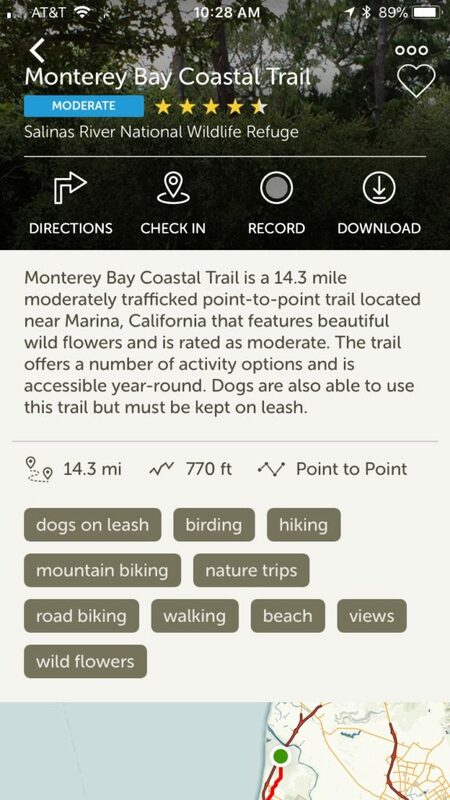 I like this app because the filters allow me to search by how busy the trail might be, the difficulty, length, dirt versus paved paths or if I want a loop or a there-and-back trail. Now I use the All Trails app for day hikes with my family. 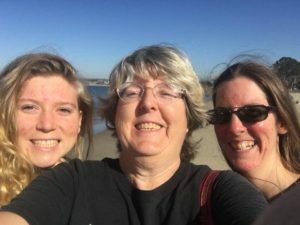 Recently my mom and I visited my cousin in Monterey. In preparation I looked up on the All Trails app for hikes in the area. Ironically, my cousin took us on the trail that I wanted to hike, the Monterey Bay Coastal Trail! It made for a really fun afternoon walking along the beach. Then on the way back we bought a whole, fresh trout for dinner right there at Fisherman’s Wharf. ← Day 23: I Found My Happy Place, Have You?